Torre Washington is not your average bodybuilder, or even your average vegan bodybuilder. 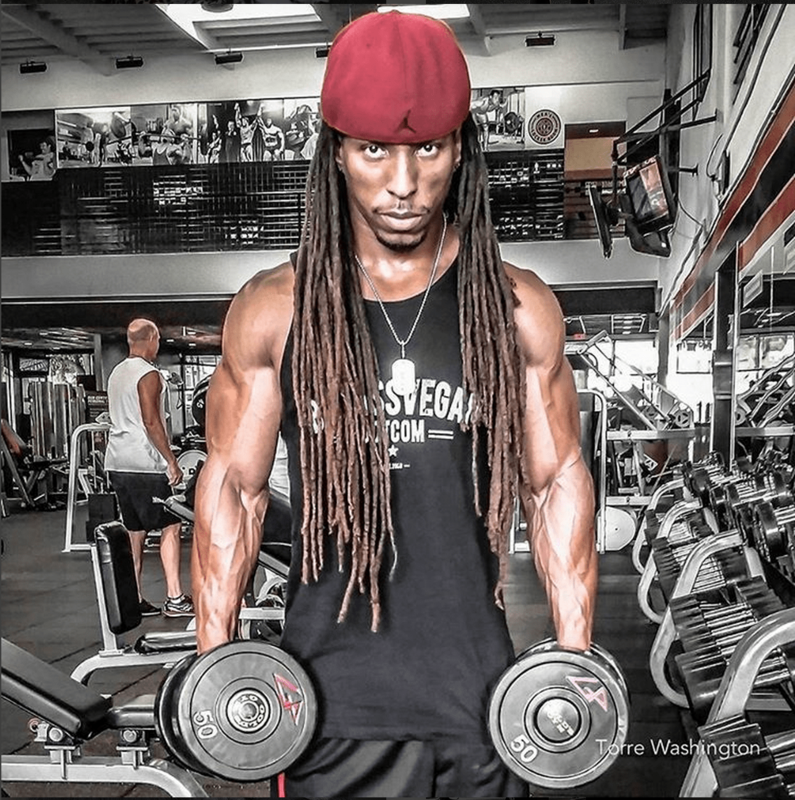 Raised vegetarian and vegan since 1998, he’s made his gains exclusively on plants. [tweet this] Let’s see how that’s working for him. If you want to hear about Torre’s journey to being a pro vegan bodybuilder check out my first interview with him here. “As I get closer to a show the only changes I make…are I cut back on sweets because their more empty calories. Lot of time they don't carry enough nutrition I want to have. I want to give my body more nutrition at that time. I still may have them, because I'm cutting back on calories. I look for certain areas where it's better to cut the calories and then it starts there, also I just found out, two days ago, that processed sugar affects my face, like I’ll break out and so, not like fruit or agave or something like that but more, when you get your refined white sugars and white flours. Closer to a show I increase my water, which most people tend to say they cut it out, I increase it. I increase my intake of vegetables, even more. So that's all I do, I really just cut back on calories and I may increase, I increase activity more so. Meaning, currently I don't do any cardio, for real, I may just do ten minute warm up and then work out. If I want to get a little tighter for show, I may add in high intensity training interval session. Basically, I do a HIIT where I’ll do sprints. I usually do sprints on Sunday or one day of the week. If I'm getting ready for a show I need to get a little tighter I may add in another. Just do that and I may up my cardio two minutes, meaning, instead of an eight to ten minute workout a eight to ten minute warm up it may be ten to twelve minute warm up. Just a little bit, depending on how far I started out. So if I don't make much drastic changes because I don't go that far away. I hope you enjoyed hearing Torre’s approach to his nutrition. I’d love to hear your thoughts about his more laid-back approach. 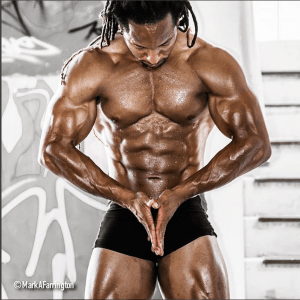 How do you handle your nutrition? Are you similarly intuitive or a compulsive tracker? Let me know in the comments! 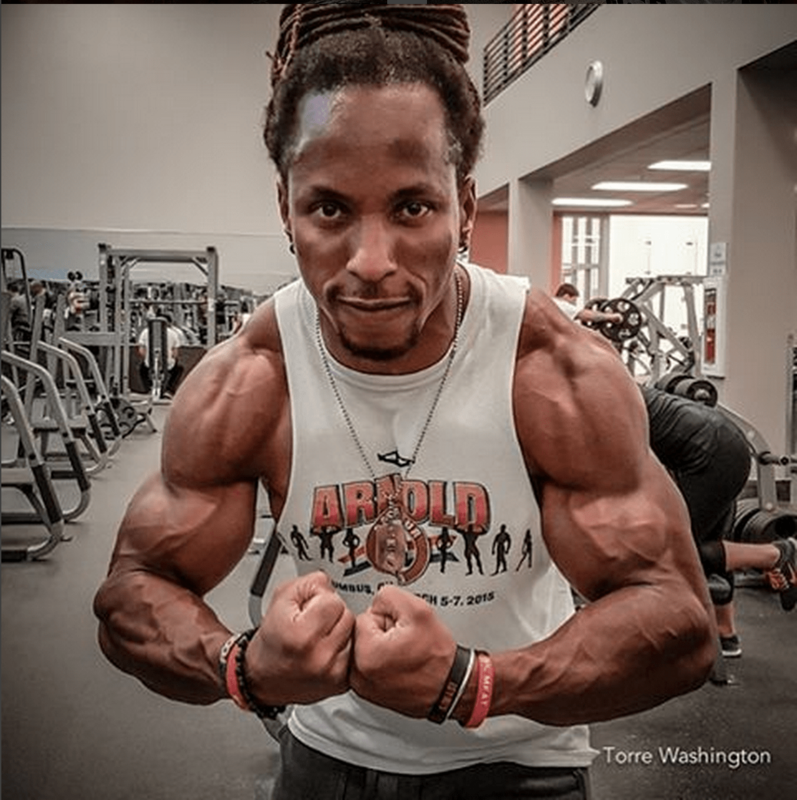 Be sure to check out the links to Torre’s website and social media below so you can get connected and keep up with his work. If you enjoyed this nutritionally sound nugget, give the video a big thumbs up and share this post around to show what plant power can accomplish. 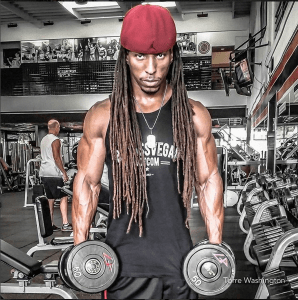 EPIC Natural Vegan Gains[Torre's First Interview] Where Do You Get Your PROTEIN? 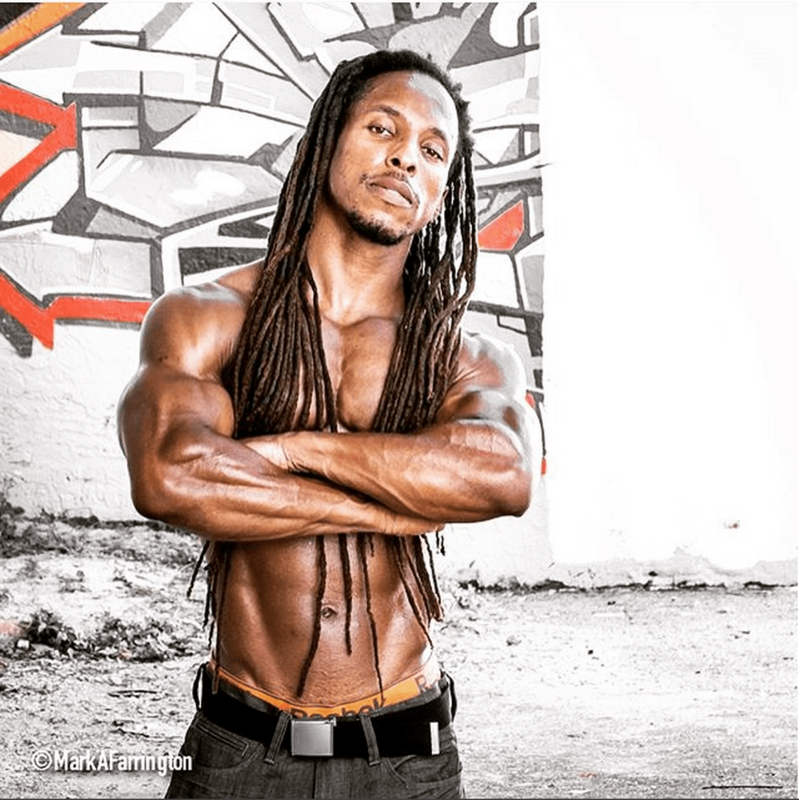 Torre has the healthiest attitude and relationship with food of anyone in the health/fitness industry. And look he places 4th at the Arnold.